With several exceptions, there is no museum in the world that rivals the Hermitage in size and quality. 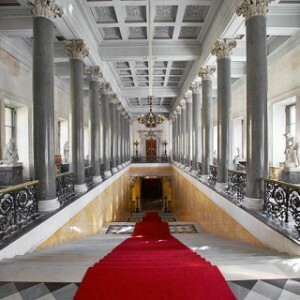 The Hermitage ranks among the world’s major museums. 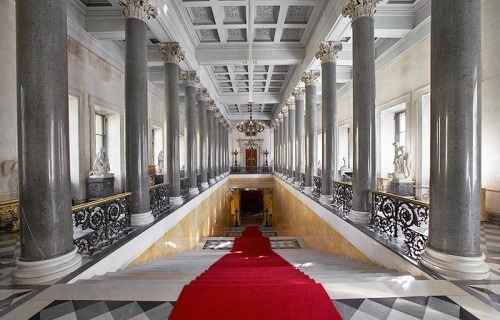 Its collections consist of nearly 3 million art objects (West European art, the Antique world, Primitive culture, Oriental culture and art, the history of Russian Culture and numismatics) of which only a small part is on permanent display in the Winter Palace, as well as the Small, Old and New Hermitages. The Golden Chamber of the Hermitage is a mustdo featuring unique objects unearthed on the territories of the Northern Black Sea Coastlands and Northern Caucasus and other territories that include ceremonial arms, plates and dishes, bits of horse harness and decorations for clothing, jewelry objects.